The Garland and Snowflakes are awesome. Thanks for a great update! How are there Betweenlands lights if that mod isn't out yet? I am an active collaborator of The Betweenlands and the weedwood lantern model has already been made in preparation for its addition. The lanterns look really good. Please post to the overview or main info page: What brightness are the lights? Torch equivalent? A few "light degrees" less or a few more? For Example: If I placed a torch on the wall and put a string down in the last spot directly across from the torch that was lit and then placed one Fairy Light in the same spot on the same wall ... would that last spot lit directly across be where I put the string down previously? A few further away, closer, etc.? Anyone else tried this mod know? 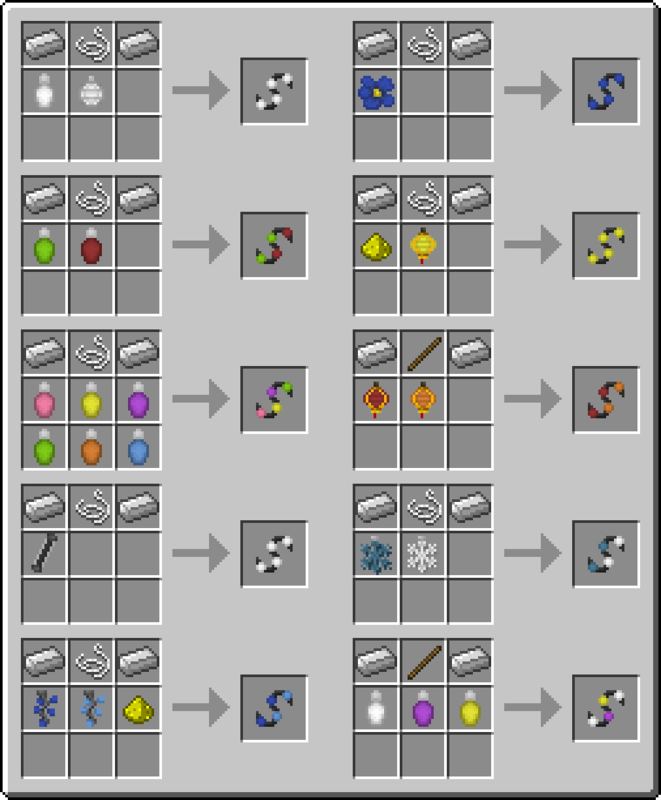 can you make it that recipes are shown in NEI please? 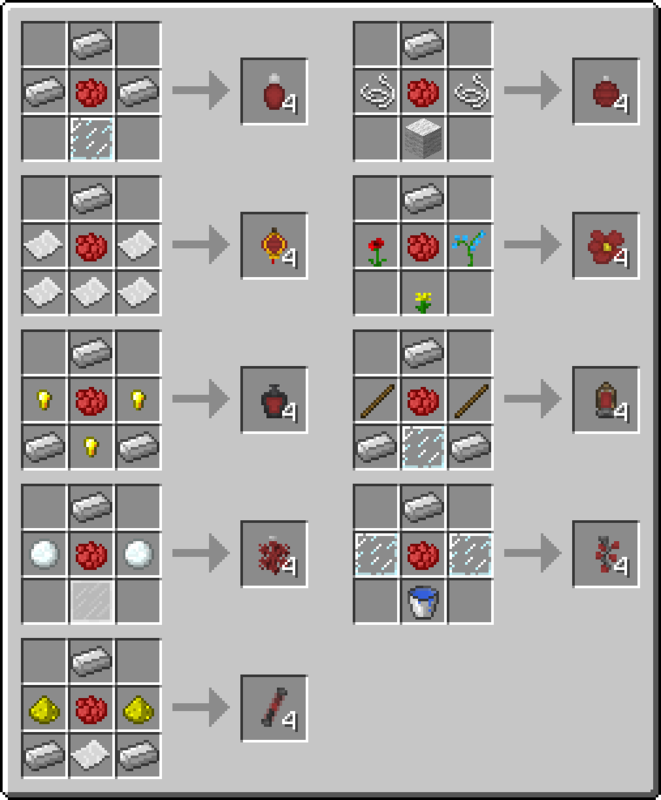 NEI would be great or even a book with the recipes. Thanks for releasing the Halloween Lights and backporting the new lights to 1.7.10, since we are waiting on a handful of mods for 1.8. I'm traveling this week so I can't test this like I normally would. Has anyone seen any issues, crashes, lighting bugs, update issues for existing lights? 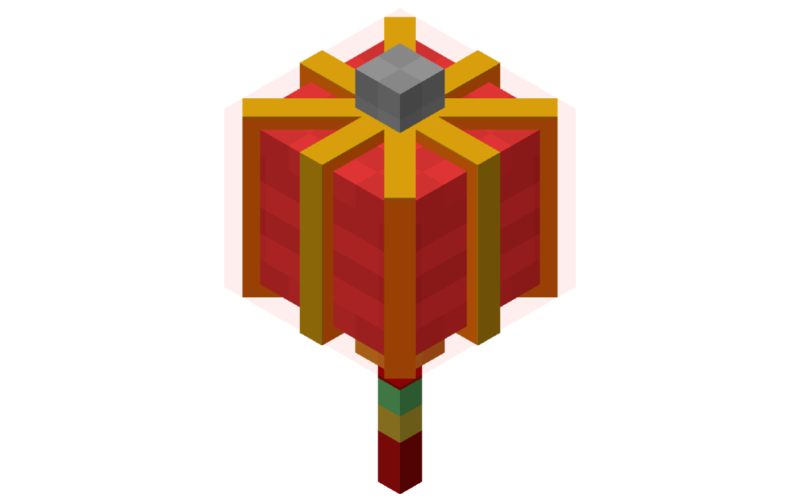 I would like to push this to our server this week so players can enjoy it before the holiday ends. FairyLights 1.1-1.8 1.0-1.8 have suddenly decided to start crashing my client quite frequently now. Their not crafted into the immediate environment but the crash report keeps indicating them. Edit: didn't realize I had an older version. I'll try the new one now and see if that solves the problem. I believe I've fixed the issue. You can tell me if using the new version 1.2 resolves the problem. Cool mod, but I won't have a chance to try until all (actually the ones that are still being worked on) my mods update to either 1.8 or (future) 1.9. Really dude, I don't believe it will be that hard to backport this small mod, but if you can't, I bet there are some modders who would happily do it for you. 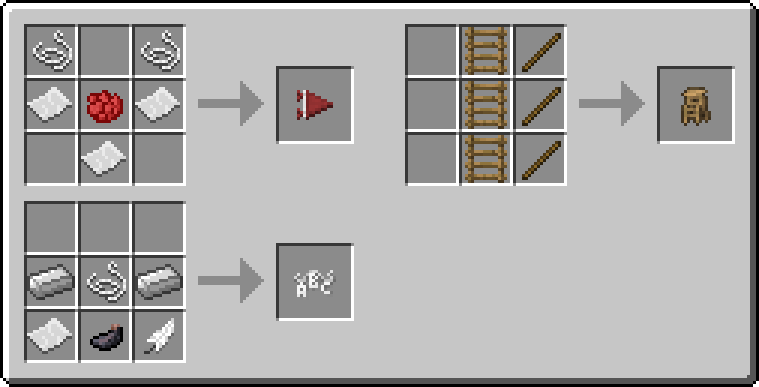 As others requested a backport would be nice, but I understand that more mods need to start making the push to 1.8! They're skipping 1.8 because it's useless. Maybe it adds a couple of blocks and some commands, but the amount of bugs and the FPS drop is not worth it. At all. Especially when this exists. How about you try out my modpack the Extreme 1.8 Mega Mod Pack obtainable at http://www.kreezcraft.com, then connect to the ProsperCraft server there and tell me what you think? ProsperCraft is on build 2.6.8 of my Mod Pack, and not 2.6.9 which is the Latest unstable version and runs only on my test server which is always up. Tell me if you experience any of the "FPS" issue you think 1.8 has. "Nvidia or Radeon Video Card with a minimum of 512mb dedicated video ram." If Intel doesn't work with your modpack, I can't use it. The recipes for the fairly lights aren't showing up in my NEI, the objects are, but not the recipes. 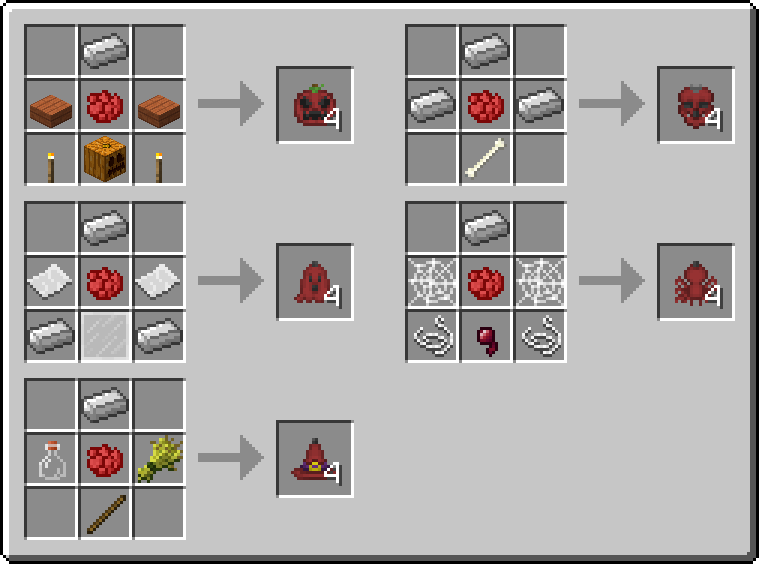 Can you post the recipes here in the overview please? Thanks. Very nice looking mod! Great work. You should expand this idea and develop it as much as you can, make bridges etc. Really nice models. Probably zero chance to have 1.7.10 version?